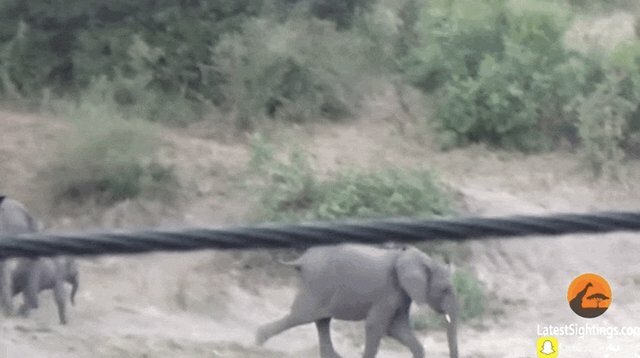 Visitors to Kruger National Park in South Africa caught this adorable footage of a tiny baby elephant stumbling as he hurries down a hill with his family ... accidentally causing his big sister to fall all over him too. Don't worry, the little guy is totally fine. He trots up to the big elephant at the front to tell her about what just happened - he even looks a little embarrassed. "Mom, mom ... guess what? I just fell." 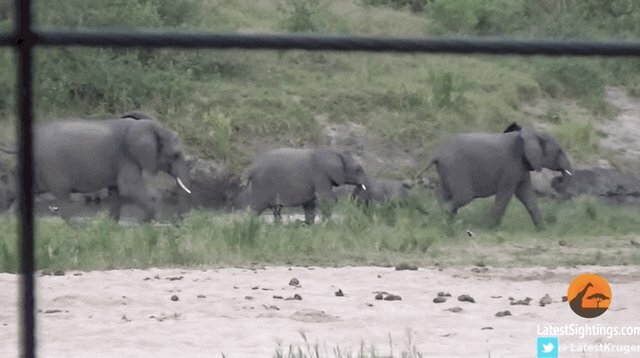 It's awesome to see elephant families living in the wild - especially when there are adorable babies to watch.